When landlords utilize tenant screening, they help minimize their risk of choosing a tenant who will cause issues. While there are several incredibly valuable pieces of information that should be part of tenant screening, none of them will give you more information than tenant credit checks. As with criminal record searches and employment verification, tenant credit checks help to paint a clear picture of the potential renter’s background. But only if you are looking for the right stuff. At first glance, making sense of a tenant credit report can be difficult. The terms may be confusing, and the layout sometimes challenging. Here are 4 red flags look for on a tenant credit report. #1: History of paying bills late. When landlords order tenant credit checks, the first item to review is how the potential rental handles their current payments. -frequency: how often is the person late? If the report only shows one late or so, it is not a big indicator that he won’t pay his bills. It could have been a mix up, or he forgot to mail the bill, etc. On the flip side, if the credit report shows a pattern of late payments, this could be cause to be concerned about whether or not he would pay his bills if you were to rent to him. -recency: how long ago was the potential tenant late? If the report shows several late payments, but they were over 2 years ago, this shouldn’t be a big concern to you. Perhaps he was dealing with a job loss, illness, or other life event which caused him to pay his bills late for a spell. Primarily be concerned with late payments within the last 24 months. -severity: how late is late? Does the report show the applicant was 30 days late on an auto loan? Or has he been 60 and 90 days late? Longer stretches of non payment are much bigger red flags than a late that is 30 days. A person who is struggling with large amounts of credit card or other debt is in a precarious situation. A short time without a job or an illness that causes missed work could put the person with huge debt in a position to be unable to pay his bills, and it could happen FAST. Review every piece of debt that shows up on the renter’s credit report, and compare the monthly payments (this amount will show on each line of credit) with the person’s income. If the monthly payments do not allow enough money to easily cover his potential rent, he is probably not the tenant for you. The credit report will show if the person has acquired collections, judgment or bankruptcies in his past. If you find any on the credit report, note the date and the amount. If it is a small medical collection, this is not a red flag. However, if large amounts of debt have been sent to collections, think twice about renting to this person. Multiple collection accounts and judgments tend to point to a person who is not very financially responsible. When you are conducting tenant screening by utilizing a credit check, potential financial problems are NOT the only negative information you may uncover. ID theft is rampant, and a credit report holds information to minimize the chance of you being scammed by a person who is using a fake name-possibly because of horrible credit or a criminal history! Look at the full name, social security number, address, and if it doesn’t match the rental application, ask for more proof of identity to ensure you are renting to the person you think you are. It’s important when performing tenant screening to closely look at each piece of background information, and the tenant credit check is where you can glean a great deal of knowledge. Remember to always give the applicant a chance to explain any informatin that is unclear, or that could be an error. They deserve the opportunity to address the information. 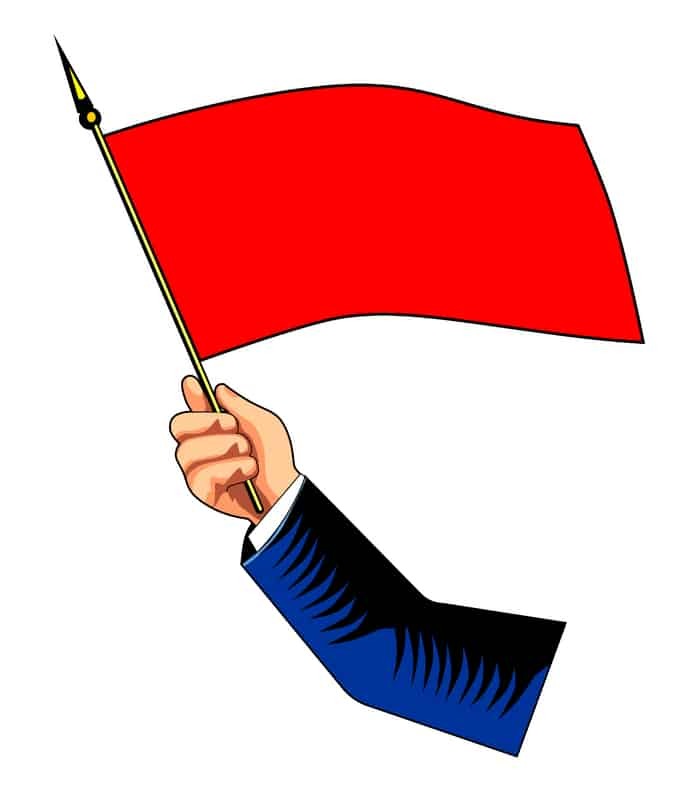 Watching for and closely examining these red flags will go a long way toward finding and keeping good quality tenants!